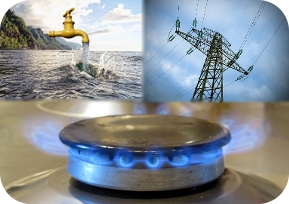 ACS provides specialist debt recovery services to the UK's water, electricity, and gas utility providers. These include live and final-billed debt recovery as well as meter disconnections and other site-based services. Our operations are optimised for the unique nature of utility sector debt. Collector-negotiators can combine Ofgem (or future Ofwat) compliant meter disconnection activities with their debt recovery negotiations. This is possible by close working with our sister company ACS Utility Services which carries out the pre-disconnection visits (PDV's) and disconnections. The preparation for disconnection and the debt recovery process are run side by side each supporting the other. This shortens the recovery process, improves recovery rates, and reduces exposure to an increasing debt as a result of continued usage. A specialist final billed team handles the disconnected or loss accounts. Our aim is to get more cash into your bank account, improve your cash flow and capital position, and reduce your bad debt exposure whilst enhancing your customer retention. We stand apart from other agencies by offering a service that is dedicated to the utility sector. With almost two decades of partnership with UK utility companies we have an unrivaled knowledge of the sector. For a full review of what makes us unique download our white paper "What makes a good utility sector collections partner?" Maximise recovery rates: Collector-negotiators pro-actively arrange repayment plans to maximise collections, renegotiate direct debit instructions (DDIs), and resolve complex billing queries. Maximise customer service performance: Our customer centric approach resolves the customer's debt problems whilst maximising collections and minimising complaints. This helps achieve good Ofgem or Ofwat customer service rankings. Minimise on-site service costs: Through ACS Utility Services we support clients on-site needs for meter management, disconnections, and tenancy issues. We manage the hassle whilst clients gain lower on-site service costs. Recover final billed debt: Disconnected and loss accounts are not written-off. ACS continues to recover debt after meter disconnection. Our final billed team specialise in recovinng disconnected and loss account debt. Minimise time, effort and cost: Our service is easy to use, cost effective and requires minimal effort to manage. A proprietary web based client portal encourages easy real time communication of data, documents, and messages. It allows real time updating of accounts and uploading of new debt. The portal is highly rated and is the key to getting high recovery rates and seamless friction free integration with the client's team. Maintain brand integrity: We reduce a clients exposure to bad press and Ofgem/Ofwat sanctions and the threat to market share with a regulated and accredited status that puts best practice at the core of our services. Utility debt recovery is provided on a 'no-collection, no-fee' basis. So, if you choose to use our debt recovery service there will be no additional risk to your business. Outsourced credit control: Provided as either an extension to your team, short term support to cover staff shortages, or a fully outsourced department - more here.